Nagarjuna (Tib. Lu-sgrub) was the great 1st or 2nd century Indian Buddhist master who founded the Madhyamaka or 'Middle Way' school of Philosophy. 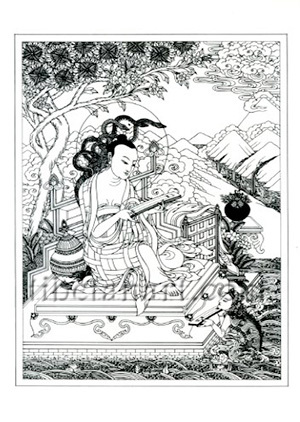 He is credited with receiving the Prajnaparamita-sutras, the texts on the 'Perfection of Wisdom', from the naga-serpent guardians of the underworld. Nagarjuna and Asanga are considered to be the two most exalted Indian Buddhist philosophers.